Samuel Formicola received his Bachelor of Music degree from the Shepherd School of Music at Rice University in Houston, Texas, studying with Camilla Wicks. He later studied in Oslo, Norway for two years, earning an Artist Diploma degree at the Barratt-Dues Musikkinstitutt, and studying with Stephan Barratt-Due. While in Norway, he was concertmaster/conductor of his school's youth chamber orchestra, performed the Korngold violin concerto with the Stavanger Symphony, and held a position with the Oslo Philharmonic, touring extensively throughout Europe under the direction of Mariss Jansons. He later studied at the European Mozart Academy in Krakow, Poland, performing chamber works in Krakow, Prague and Florence. Sam recently premiered a fantastic new violin concerto written by his friend and colleague Karen Khanagov. Currently a violinist with the Oklahoma City Philharmonic, he has held positions with the Los Angeles Chamber Orchestra, Colorado Symphony and Concerto Soloists Chamber Orchestra in Philadelphia, and has worked extensively with the Detroit Symphony Orchestra. 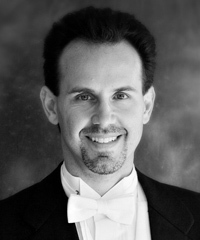 He has also played with the Los Angeles Philharmonic, the Los Angeles Opera, and the San Diego Symphony. Sam also taught violin, viola and chamber music at Oklahoma City University from 2011-2014 and at Biola University in Los Angeles, California from 2004 to 2010. He has taught master classes in Oslo, Norway, at the Fairbanks Summer Arts Festival, Masterworks Festival in Indiana, and was co-founder and co-director of the Gold Coast Chamber Music Festival in Woodland Hills, California near Los Angeles for 9 years. Mr. Formicola has performed with pianist Menahem Pressler of the Beaux Arts Trio on several occasions at Biola University, pianist Jeffrey Kahane, violinists Cho-Liang Lin and Scott Yoo, violist Paul Colleti, and cellist Alyssa Weilerstein. He has performed at the Los Angeles County Museum of Art on KMZT's live program "Sundays Live" on several occasions. He worked in the Hollywood studios for the past 12 years, scoring over 200 films, playing on many records of top artists, and also appearing twice on the Grammy Awards. Sam moved from Simi Valley, California in 2010 to Edmond, Oklahoma where he currently resides with his wife and three young daughters. For more information, please visit www.samformicola.com.